I have done my fair share of stories about journalists by now, and my favorites are generally those profiling venerable figures like the subject of this story, Howard Silber, who epitomized the intrepid spirit of the profession. 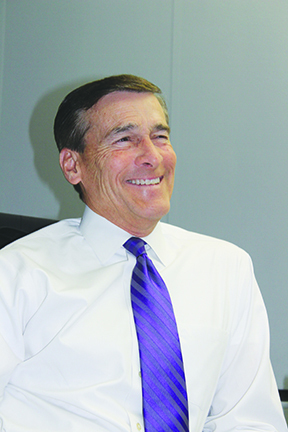 Howard, though long retired, still has the heart and the head of a newsman. It’s an instinct that never fully leaves one. His rich career intersected with major events and figures of teh 20th century, as did his life before becoming a reporter. I think you’ll respond as I did to his story in the following profile I wrote about Howard for the New Horizons. It’s hard not viewing retired Omaha World-Herald military affairs editor Howard Silber’s life in romantic terms. Like a dashing fictional adventurer he’s spent the better part of his 90 years gallivanting about the world to feed his wanderlust. A Band of Brothers World War II U.S. Army veteran, Silber was wounded in combat preceding the Battle of the Bulge. Soon after his convalescence he embarked on a distinguished journalism career. As a reporter, the Omaha Press Club Hall of Fame inductee covered most everything. He ventured to the South Pole. He went to Vietnam multiple times to report on the war. He interviewed four sitting U.S. Presidents, even more Secretary of States and countless military brass. He counted as sources Pentagon wonks and Beltway politicos. Perhaps the biggest scoop of his career was obtaining an interview with Caril Ann Fugate shortly after she and Charles Starkweather were taken into custody following the couple’s 1958 killing spree. A decade later Silber caught the first wave of Go Big Red fever when he co-wrote a pair of Husker football books. As Veteran of Foreign Wars publicity chairman he went to China with an American contingent of retired servicemen. Even when he stopped chasing stories following his 1988 retirement, he kept right on going, taking cruises with his wife Sissy to ports of call around the globe. More than 60 by now they reckon. They’ve even gone on safaris in Kenya and South Africa. Their Fontenelle Hills home is adorned with artifacts from their travels. In truth, Silber’s been on the move since he was a young man, when this New York City native left the fast-paced, rough and tumble North for the slower rhythms and time-worn traditions of the South. His itch to get out and see new places may have been inherited from his Austro-Hungarian Jewish immigrant parents. 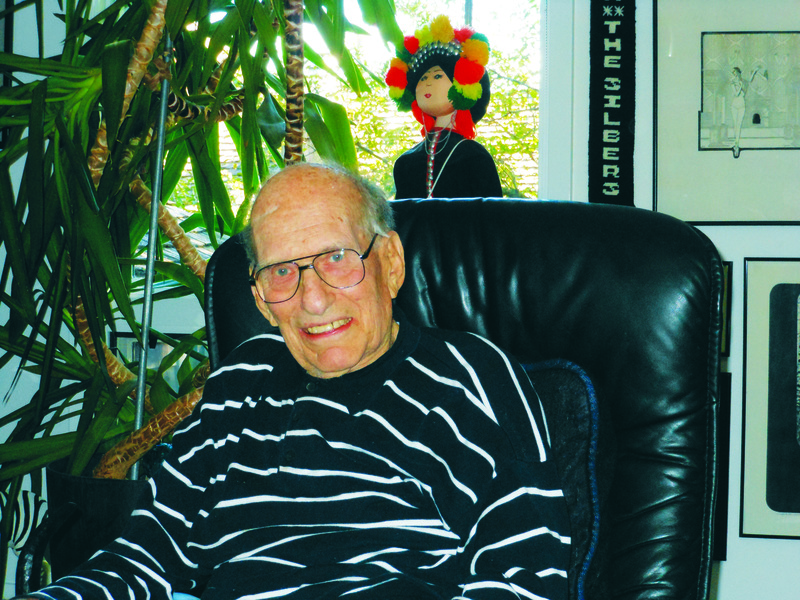 Growing up on the Upper West Side of Manhattan, Silber learned many survival lessons. HIs earliest years were spent in a well-to-do Jewish enclave. But when the Depression hit and his fur manufacturer father lost his business, the small family — it was just Howard, his younger sister and parents — were forced to move to “a less attractive neighborhood” and one where Jews were scarce. As the new kid on the block Silber soon found himself tested. Sports became another proving ground for Silber. He excelled in football at Stuyvesant High School, a noted public school whose team captured the city championship during his playing days. An equally good student, he set his sights high when he attempted to enroll at hallowed Columbia University. He said when the University of Alabama in Tuscaloosa recruited several teammates he opted to join them. The school’s gridiron program under then head coach Frank Thomas was already a national power. Silber enrolled there in 1939. At Alabama his path intersected that of two unknowns who became iconic figures — one famously, the other infamously. 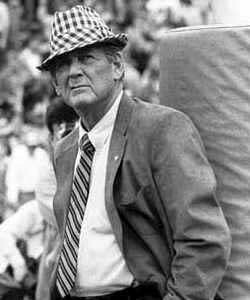 “Paul “Bear” Bryant was my freshman football coach. I thought he was a great guy. He did a lot for me,” Silber said of the gravely voiced future coaching legend. The Bear left UA after Silber’s freshman year for Vanderbilt. It was several coaching stops later before Bryant returned to his alma mater to lead the Crimson Tide as head coach, overseeing a dynasty that faced off with Nebraska in three New Year’s bowl games. Bryant’s Alabama teams won six national titles and he earned a place in the College Football Hall of Fame. Silber makes no bones about his own insignificant place in ‘Bama football annals. “I was almost a full-time bench warmer,” he said. “The talent level was higher than mine.” He played pulling guard at 170 pounds sopping wet. His mother wanted him to be a doctor and like a good son he began pre-med studies. He wasn’t far along on that track when the medical school dean redirected Silber elsewhere owing to color blindness. Medicine’s loss was journalism’s gain. Why did he fix on being a newspaperman? Silber became well acquainted with someone who became the face of the Jim Crow South — George Wallace. When he first met him though Wallace was just another enterprising Alabama native son looking to make his mark. “George Wallace and I shared an apartment over a garage one summer school session,” recalled Silber. “I had known him a little bit before then. We became pretty good friends. There was no sign of bigotry at that time, and in fact I’m convinced to this day that his bigotry was put on for political purposes. Years before Wallace uttered that comment Silber witnessed another side of him. In 1968 the one-time roommates’ paths crossed again. By then Silber was a veteran Herald reporter and Wallace a lightening rod Alabama governor and divisive American Independent Party presidential candidate on a campaign speaking tour stop in Omaha. Wallace’s abrasive style and segregationist stands made him a polarizing figure. That evening at the Omaha Civic Auditorium Wallace’s inflammatory speech excited supporters and agitated opponents. A melee inside the arena spilled out onto the streets and in the ensuing confrontations between police and citizens a young woman, Vivian Strong, was shot and killed by an officer, setting off a civil disturbance that caused serious property damage and looting in Northeast Omaha. In some ways Northeast Omaha has never recovered from those and other disturbances that burned out or drove away business. It’s just the kind of story Silber liked to sink his teeth into. Before ever working as a professional journalist Silber found himself, likes millions of others, caught up in momentous events that forever altered the course of things. He was an undergraduate when Japan attacked Pearl Harbor on December 7th, 1941. The call to arms meant a call to duty for Silber and so many of the Greatest Generation. Boys and men interrupted their lives, leaving behind home-family-career for uncertain fates in a worldwide conflict with no guarantee of Allied victory. He was 21. He went off to war in 1942, his studies delayed button forgotten. “The university had a program where if you finished the spring semester and had so many hours you could enter the armed services and finish your degree by correspondence,” said Silber, who did just that. His military odyssey began at Fortress Monroe, Va. with the Sea Coast Artillery. “We had big guns to intercept (enemy) ships,” he explained. “Because I had some college I was put in the master gunner section where with slide rules we calculated the azimuth and range of the cannon to zero in on the enemy ships that might approach. The Sea Coast Artillery was deemed obsolete by the emergence of the U.S. Air Force as a reliable deterrent force. From there, he said, “I went into a glider unit and once in action we were supposed to glide in behind enemy lines to set up for anti-aircraft. Well, the glider unit was broken up. So I had some choices and I just transferred to the infantry. I went to Camp Howze (Texas), a temporary Army post, and became a member of company A, 411th Infantry Regiment, 103rd division. We did some pretty heavy training there,” said Silber. “We landed in Southern France (post-D-Day, 1944). We were equipped to go into combat but we were diverted to the Port of Marseilles. The French stevedores, who were supposed to be unloading ships of ammunition and such, went on strike. So we spent about two weeks unloading ammunition from ships to go up to the front. That initial action, he said, “was in, oddly enough, a churchyard in which most of the graves were occupied by World War I German soldiers. I didn’t learn that until later.” Many years after the war Silber and his old comrades paid for a monument to be erected to the eight GIs lost there. He and Sissy have visited the site of that deadly encounter to pay their respects. “It’s become kind of a shrine to guys from my old outfit,” he said. The next phases of his combat duty exposed him to even more harrowing action. Although wars historically shut down in winter or prove the undoing of armies ill-equipped to deal with the conditions, the record winter of ’44 in Europe ultimately did little to slow down either side. In the case of the advancing American and Allied forces, the treacherous mix of snow and cold only added to the miseries. When Silber and his fellow soldiers were ordered to cross a mountain range, the dangers of altitude, deadly passes and avalanches were added to the challenge. If any soldier is honest he admits he fears engaging in hand-to-hand combat because he doesn’t know how he’ll perform in that life or death struggle. In the Vosges campaign Silber confronted the ultimate test in battle when he came face to face with a German. “I’ll tell you what happened,” is how Silber begins relating the incident. “We went out on patrol at night trying to contact the enemy and pick up a couple prisoners for intelligence purposes. By that time I had become a second lieutenant, courtesy a battlefield commission. I didn’t really want to become too attractive a target for the Germans, so I pretended I was still an enlisted man in dress and in emblem, and I carried around an M-1 rifle instead of a carbine. In the close quarters chaos of the fire fight, he said, “I jumped into a roadside ditch with my M-1 and it was knocked out of my hand by the guy I killed. Had to. I had a trench knife in my boot and I attacked him with that and fortunately I beat him, or he would have beaten me.” Only one man was coming out alive and Silber lived to tell the tale. He does so without boast or pleasure but a it-was-him-or-me soberness. Finally breaking out of the mountains onto the Rhine Plain was a great relief. For the first time since the start of the campaign, he said, “we got to sleep in an intact house. We proceeded around Strausberg. We were in the U.S. 7th Army and integrated into our army corps was the French 1st Army and they were made up mostly of North Africans. Most of them were Moroccans, Algerians and Tunisians, I guess. They had come across the Mediterranean with de Gaulle. We saw them from time to time. They had a reputation of being good fighters. All hell then broke loose. His second close brush with death then occurred. “The artillery action slowed down and we began to advance into the Maginot Line,” he said. “The Germans had some tanks positioned between fixed fortresses. We encountered off in the distance a tank — 400 or 500 yards away. It was very slowly approaching us. The tank destroyer outfit had been so decimated they were pretty much out of action, so we had bazookas. Our bazooka team in my platoon was knocked out. By that time I was the platoon leader. I picked up the bazooka, knelt and loaded it, fired once and missed. It was quite a distance still. Silber spent the remainder of the war healing. “The next day the field hospital was emptied out of patients and it moved north to take care of casualties from the Bulge,” he said. “I was shipped along with other patients by ambulance to the U.S. 23rd General Hospital at Vittel, France, a spa town. It had been a resort. It had a racetrack and a casino. We wound up in the grand hotel. Ending up sidelined from the action, banged up but without any life threatening injury, reminded him of something he and his buddies often joked about to help pass the time. “Especially when I was an enlisted man we used to sit and talk in our foxholes, usually at night when things were quiet, smoking a cigarette under a tarpaulin or something, about the ‘million dollar wound.’ We’d speculate on what it would take to get us back to the States without getting really hurt. He was still hospitalized when VJ Day sparked celebrations over the war’s end. When the Sun folded in 1950 Silber got on with “a blue ribbon” PR firm, but as he once put it, “I just had the romance of daily journalism in my blood.” Thus he began searching for a newspaper job. His choice came down to a Kansas City paper and the Omaha World-Herald, and $5 more a week brought him here in 1955. He started out on the rewrite desk. The Herald had a team of reporters out covering the Charles Starkweather story but Silber was familiar with the mounting murders and resulting manhunt around the upper Midwest from rewriting field reports. Then, as things often happen in a newsroom, Silber found himself enlisted to cover a major development. Minus a wire to transmit photos, Robinson flew back with the negatives, while Silber and Savage stayed behind to cultivate more stories. That night, a keyed up Silber, unable to sleep, walked from the hotel to the courthouse where the captured fugitives were held. The story was a sensation everywhere it headlined. “There weren’t that many serial murders in those days for one thing,” said Silber, “and it seemed to have all the elements — a teen with his girlfriend going around shooting people, not at random but for one reason or another, and it just caught on. Besides that, we were feeding a lot of stuff to the Associated Press and United Press. I was a stringer for Reuters and they were getting plenty of it. I was also stringing for the New York Daily News and at that time it was the largest circulation newspaper in the country. So Silber wasn’t going to miss an opportunity to further play the story when one presented itself. Having relieved the sheriff, Silber then convinced Heflin’s wife to let him interview Caril Ann Fugate when Mrs. Heflin went to check on her. He ended up doing interviews with Fugate and Starkweather, separately, while Savage snapped photos — getting exclusive stories and pictures in the process. Silber’s most far-flung assignment took him to the South Pole in 1962 as part of the press pool on a military junket with dignitaries Gen. Jimmy Doolittle, radio-newsreel commentator Lowell Thomas and Notre Dame president Fr. Theodore Hesburgh. “We staged out of Christchurch, New Zealand,” he said. “It’s a long ride down there in a prop plane.” En route, everyone geared up with layers of thermal clothing. 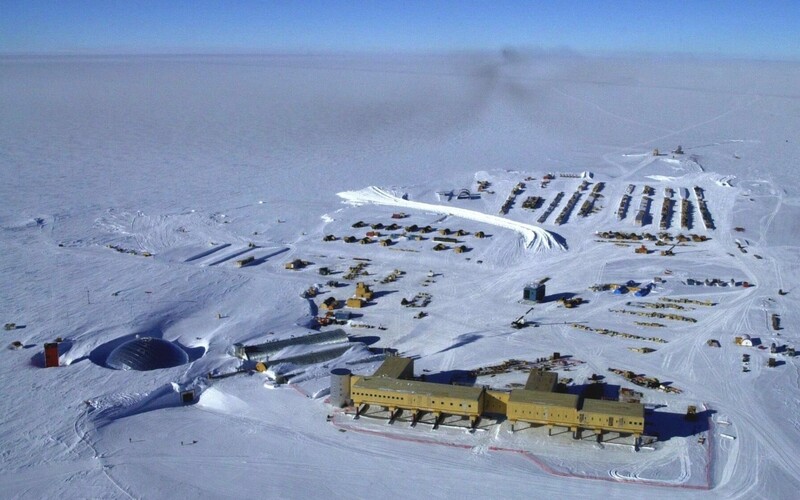 “We landed at (Amundsen-Scott) Pole Station — the actual landing strip they carved out of the ice about a mile or so from the pole. When we got there the temperature was 60 something below zero. They made heated track vehicles available, but Gen. Doolittle, Lowell Thomas and Fr. Hesburgh said no, They walked. So as a result we in the press pool had to walk, too (much to their curse-laden dismay). Flying to the pole station in a C-130 a tired Silber clambered atop crates lashed in the aisle and when he awoke a fellow member of the Fifth Estate said, “You know where you’ve been sleeping?” A clueless Silber shrugged, no. “On cases of dynamite,” his colleague gleefully informed him. Silber and Sissy attended many a lavish black-tie officers’ party at Offutt. There wasn’t much posh about reporting in Vietnam, where Silber covered the war as early as 1964. On a later visit there he ran into Omaha television reporter John Hlavacek, a former print foreign correspondent for whom Silber has high regard. In 1970 Silber and other press accompanied Ross Perot on a chartered trip the billionaire organized ostensibly to deliver supplies to U.S airmen held as prisoners of war in North Vietnam. The hopskotch trip, which Henry Kissinger was behind, failed to deliver any supplies but did raise awareness of the POWs’ plight. Back home, Silber claims credit for thinking of the Husker football books he and colleagues Jim Denney and Hollis Limprecht collaborated on, the second of which was a biography of Bob Devaney. Silber thought highly of Devaney. Over the years Silber wrote pieces for Readers Digest, Esquire and other national publications. He was a Reuters stringer for 20 years. He means to resume his memoirs — for his grandkids — now that he’s cancer free for the first time in years. Long ago divorced from his first wife and the mother of his two daughters, Silber and Sissy have been partners 36 years now. Her warm, bigger-than-life personality complements his own hail-fellow-well-met charm. Each retired comfortably from divergent careers. While he never became rich as a reporter he did well as a World-Herald stock holder. When Sissy’s father left behind his Katelman’s hardware supply store she and her mother took it over and ran it till 1981, when the Kanesville Highway went in. Howard and Sissy met as a result of, what else?, a story Silber was working on. They’ve been inseparable since marrying in 1975.